During the Japanese 'bubble' economy of the 1980's, the youth of Japan began to exert unprecedented influence on Japanese culture through their spirited patronage of certain art forms previously deemed subcultural or avant-garde. Among these were manga (Japanese comics or animation) and shogekijo (Japanese little theater). These art forms, while very unlike in the manner in which they were produced and disseminated, can be shown to exhibit a common language: manga discourse. This discourse presents the ludic, image-oriented, and seemingly infantile but simultaneously transhistorical language. The range and meaning of these discursive forms as they are related to changes in the forms of shogekijo in Japan between the 1960's and the 1980's are explored here, using the work of Noda Hideki and his troupe Yume no Yuminsha as example.Founded in the early 70's in the dark recesses of the University of Tokyo, Noda's troupe blossomed into a major component of the theater boom of the bright leisure-oriented 80's. 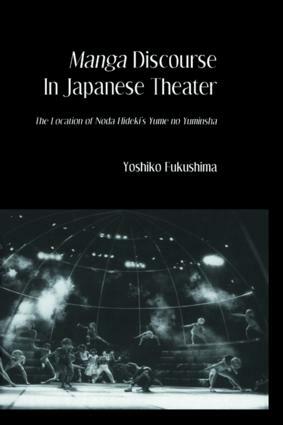 The question which Noda's theater raises for those who seek to define Japan's modernization in the arts is how something defined as instinctively 'little' could become so big? In line with its predecessors in the avant-garde movements of the 1960's and 70's, the 1980's shogekijo borrowed from popular theater of the pre-modern period, in reaction to the western - and script-oriented shingeki, and from modern comedy in early twentieth century Japan.But unlike its avant-garde predecessors, it eschewed direct political confrontation with the power holders and consciously sought to expand its audiences through capitalistic means. Japanese youth born in the postwar generation could be led to appreciate the anti-shingeki message of shogekkijo, Noda predicted, only if it could be put in the playful and fantastic language of manga discourse. In some ways, this counterintuitive movement to youth subculture fulfilled shogekijo's mission to return theater to its Japanese roots and thereby complete the process of a truly Japanese modernization in the arts.